Sundiver Snorkeling Tours has been providing an expert snorkel experience within the John Pennekamp State Park, or National Marine Sanctuary, since 1972. Their Coast Guard certified staff are experienced with families, kids and first time snorkelers. They visit one of dozens of shallow reef sites each time they go out. You can snorkel several times with them and experience different areas each time. The price of the tour includes enrtrance fees, ice cold water and transportation. See colorful parrotfish, breath-taking sea turtles, angelfish, tangs, butterfly fish or a nunmber of different kinds of living coral like brain and star. The trip lasts a total of 2.5 hours with a full 1.5 hours on the reef. When driving south on the Overseas Highway (US 1) from Miami, look for mile marker #103 and the Sundiver Station on the righthand side. You can stop here and purchase your snorkel tour tickers and whatever supplies you may need at the store. The State Park entrance is only 300 yards from the shop. From here you travel to mile marker #100 at the Suites of Key Largo where you will begin your tour. Parking is free. Board the 46 foot custom snorkel boat fitted with a water level platform that allows access to the water via 2 sturdy ladders. Small children and beginners are taught using floating noodles and balls that attach to the boat for their comfort. While sodas and snacks are sold on the boat, you are welcome to bring your own refreshments as long as no glass is brought on board. If you do not own your own snorkel gear, it can be rented from the Sundiver Station. The snorkel tours leave 3 times a day at 9am, 12pm and 3pm. In the Fall months they offer only the 9am tour on the weekends. 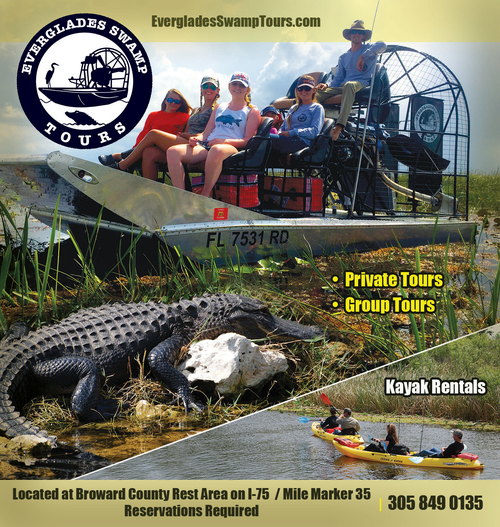 Call to ask about sunset tours in the summer months. Tours cost from $25 to $32 per person, adults who are only riding along and not snorkeling are offered a reduced rate. Sundiver offers charter trips for up to 6 passengers on their Happy Kat boat which does include snorkel gear, water, and cold sodas for around $400 for 3 hours.